Imagine’s Vito Giorgio will be discussing his time in the graphene industry at an Australian Graphene Industry Association (AGIA) meetup at the Notting Hill Hotel on 13th September. Witness the graphene revolution first hand by trying the imagine prototype “smart seat” at the event, before it’s sent to the Mondial Tech Startup Awards on October 2-6 in the Paris Expo Porte de Versailles Convention Centre. 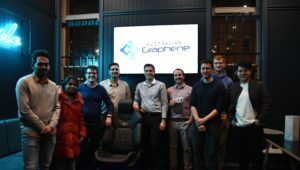 The AGIA is an Australian not-for-profit promoting advanced manufacturing in Australia using graphene. To secure your free ticket [Click Here].